Essential oils are naturally occurring volatile aromatic compounds that are found in the seeds, bark, leaves flowers and other parts of the plants. It is these compounds that gives the plants or flowers their delicious, aromatic smell as well as protect the plants. Basically it is all goodness that gives the oil it’s healthful properties. doTERRA uses steam distillation to extract the essential oils from the plants. They take thousands of pounds of plants, stems, leaves and flowers and turn them into super concentrated oils. That is why you only need a few drops. The citrus oils are made by expression or cold pressing the the oils out of the plants, mostly from the rind. 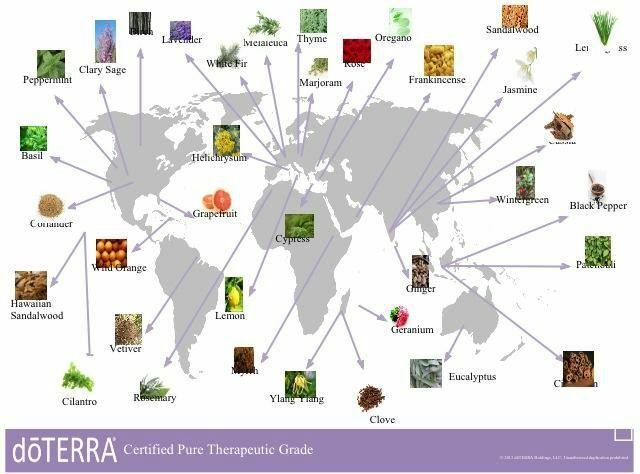 doTERRA oils are certified pure therapeutic grade essential oils. They have very strict testing processes that every batch goes through before ever going to the public. doTERRA uses steam distillation to extract the essential oils from the plants. They take thousands of pounds of plants, stems, leaves and flowers and turn them into super concentrated oils. That is why you only need a few drops. The citrus oils are made by expression or cold pressing the the oils out of the plants, mostly from the rind. I had been using the cheap, store bought essential oils for a long time primarily for aromatic use and would occasionally rub some on my temples for head tension. However, it didn’t really do anything other than smell nice. I still had head tension. In 2016 my husband and I traveled to South Africa and I decided it was time to learn about and invest in high quality oils to support our immune system and digestion. I set out on a quest to explore many of the top brands on the market to see what they were all about. I spoke to a LOT of people from many different companies and did a lot of research on my own. I discovered that many companies adulterate their oils, meaning they cut them either with cheaper oils or synthetic chemicals. Doing this makes them cheaper to produce resulting in more revenue for the company, but can impact the overall quality and health benefits. Given that I wanted to reduce my exposure to as many chemicals as possible and support a company that had strong community and environmental values, I knew I needed to keep looking. 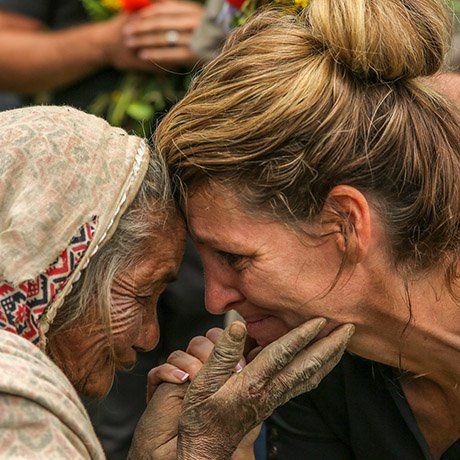 I landed on doTERRA for many reasons. First, they are certified pure therapeutic grade oils. Second, they have very strict testing. Both of these reasons are very important to me, especially as a nurse. They also use Co-Impact Sourcing meaning they source the oils from all over the world where each herb, plant or flower is native! I also discovered that in addition to paying their growers and harvesters a fair wage, they also created The Healing Hands Foundation. How cool that I found a company that not only had amazing products, but they cared about the environment and people less fortunate than us. I knew had found the ONE! The sense of smell can elicit a powerful physiologic, emotional and mental response. The essential oils are quickly absorbed by the smell receptors in the olfactory system (smell) and go straight to the limbic system (brain). The limbic system includes structures such as the hippocampus (long-term memory), the amygdala (emotions), the hypothalamus (autonomic nervous system and hormones) and the cingulate gyrus (regulates blood pressure, heart rate and attention). What does all that mean? In a nutshell because the olfactory system is closely connected to the limbic system, smelling the oils can profoundly affect your mood. You can put the oils in the palm of your hands, rub them together and breathe in the scents. You can place a few drops of your favorite oil in a diffuser freshening your entire room naturally. You can put a drop of oil on a cotton ball and leave it around the house or car. Topical application can be a very effective method to applying oils to the skin as they penetrate the skin quickly are are easily absorbed. It is best to use a carrier oil, such as Fractionated Coconut Oil, to dilute the oils and can decrease the likelihood of skin irritations. This is a MUST when applying the oils to children. You can apply them to your neck, temples, forehead, chest, abdomen, arms, legs or the bottom of your feet. You can add a few drops to your bath. You can apply a few drops to your favorite lotion, skin care or hair products. Internal use means these oils can be ingested. Only certified pure therapeutic grade essential oils can be ingested, like doTERRA. Other oils on the market are diluted or processed with harmful chemicals and should NEVER be internally consumed. The FDA has approved essential oils as GRAS (Generally Recognized As Safe for human consumption). Having said that, as an RN I would be remiss if I did not say it is best to determine if internal use is appropriate for you, especially if taking prescription medications. While they are safe for use, certain oils may not mix well with certain medications so check with you healthcare provider if you are at all concerned. You can put one drop in your water bottle (peppermint, orange and lemon are my favorites). You can mix lavender, peppermint and lemon in a veggie capsule for seasonal discomforts. You can cook with them. The easiest way to buy is to book a free call with me below. I will educate you on which oils would be best for you and your family while ensuring you are getting the best possible deal. You can always purchase by clicking here, but you will pay retail prices, unless you purchase a membership or an enrollment kit. Interesting in having Kathryn teach a class at your business or home?